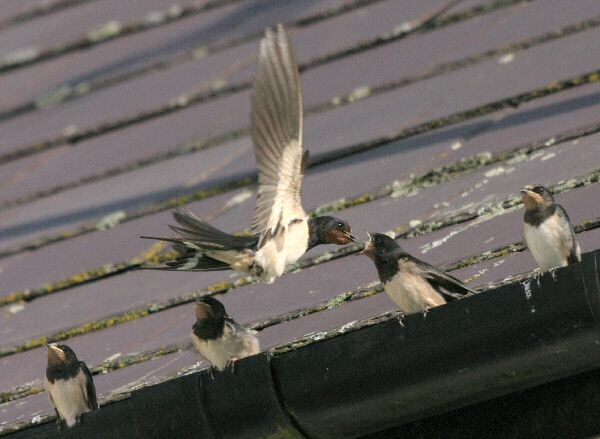 Of the three common fly-catching birds in the UK, Swallows and House Martins are regular visitors in the summer. 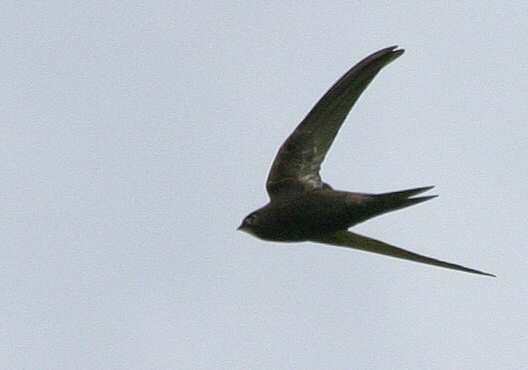 In May 2004 we finally got a reliable siting of Swifts as a visitor but don't know whether this will become regular. Usually these birds are high in the sky, occasionally swooping down to catch insects. However, ponds with reasonable lengths of clear water surface (i.e. 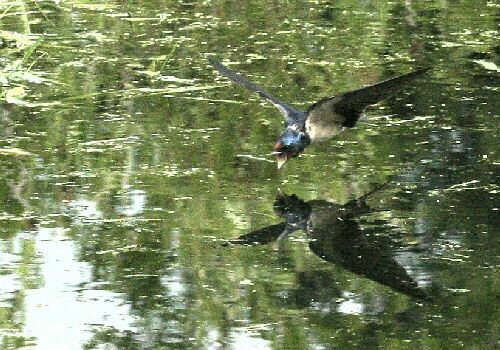 no lily pads or surface weed) attract swallows for a drink. They swoop down to water level and dip their beaks in to water while flying over it - an amazing site. It is obviously not easy because sometimes they fail to touch the water, and come round for another go. Swallows also feed their young without landing. The youngsters perch on a tree-top branch, gutter or (most often) overhead wires, and the parent hover momentarily to stuff insects into gaping beaks. 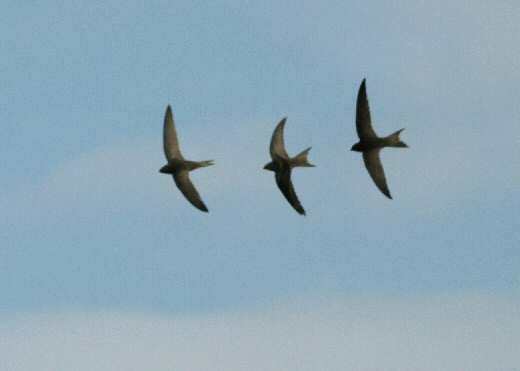 In the evening of 14 May 2004 we got our first proper siting of Swifts when these three circled the plot a few times screeching as they do. We saw Swifts occasionally afterwards but not in groups, and we photographed this singleton a month later.